In Ohio however, where I live, nearly half of our Ohio House Republicans are co-sponsoring new legislation to abolish the state’s current conceal-carry license and training requirements with House Bill 174. The legislation expands the allowable concealed weapons list to include rifles and shotguns instead of just handguns, which I think is fantastic. In reading the Ohio Constitution again recently, as an older person I was quite inspired by the open language within it toward gun ownership and its role in protecting private property. Of course private property is the key to our economic powerhouse as a nation and any state which adapts such understandings. For a functional society to work correctly all people need to be born into a family which provides some basic educational foundations and values. Those individuals need to grow up into people who want to work to achieve things in their life and acquire property. And they need to have the ability to defend it. Those sets of circumstances are key to the successful continuation of western civilization and economies that are power and advocating technical advancement. The gun is not a primitive possession from a war-torn past, it’s a philosophic representation that mankind has stepped toward autonomous self-government as opposed to centralized control which restricts the imagination and perpetuity of individualized effort. I’m not crazy about Mike DeWine’s gas tax initiatives, but I was less crazy about the former liberal John Kasich’s spending in Ohio into oblivion which has caused the current administration to find money to maintain our roads. DeWine is doing the right thing to adopt a pay as you go theme with Ohio drivers while we recover our budget for which Kasich squandered away. However, DeWine does support this “constitutional carry” measure and he will likely sign it once the legislation gets through the House and Senate. While big government types continue to view gun ownership as barbaric and backwards the truth is quite the opposite, so it is a relief that Governor DeWine understands that very basic concept. I remember well an event that I was at set up at Premier Shooting in West Chester where I was with Jon Husted, George Lang, Sheriff Jones and Mark Welch at a table and we were talking about these types of measures, concealed carry, rights of individual citizens and that type of thing in the VIP room overlooking the property and the fishing lake. At that time Husted looked to be a long shot at becoming the lieutenant governor of Ohio on the DeWine ticket so I was thinking how great it would be if the people at that table won their elections and continued to advance individualized philosophy through law in Ohio. I was very happy to see that DeWine and Husted won and are now embarking on that journey of individual rights that is represented by gun ownership because it indicates that Ohio is on a great path trajectory toward future prosperity. The anti-gun crowd, which is always pecking at the door to freedom of course is against this H.B.174 Bill, because they still hold the belief that an anti-gun society can advance into a mature and technical state. Obviously that is a wrong assumption so it doesn’t matter what the FOP organizations believe about the matter or progressive gun control advocates, they are all on the wrong side of history. Gun ownership isn’t about shooting people. It’s about knowing that the protection of your private property has been decentralized and resides within you personally all the time. And in knowing that, you can live a life of material acquisition that fuels the economy and the life of a free society. Gun ownership is a very above the line thing to do whereas progressive society which so closely embraces below the line victimization behavior advances the thoughts of equality no matter what behavior or circumstances mandate. An unarmed person in such a society is always in a position to be a victim of aggression and a dependent on the State for protection which is wrong in so many ways. People who don’t work hard in life or have built a life of values for themselves do not have the right, or ability to just scoop in and take whatever they want from those who do work hard. And while a person is working hard in life to live well and prosper they shouldn’t have to spend enormous amounts of time learning to defend themselves without a gun. 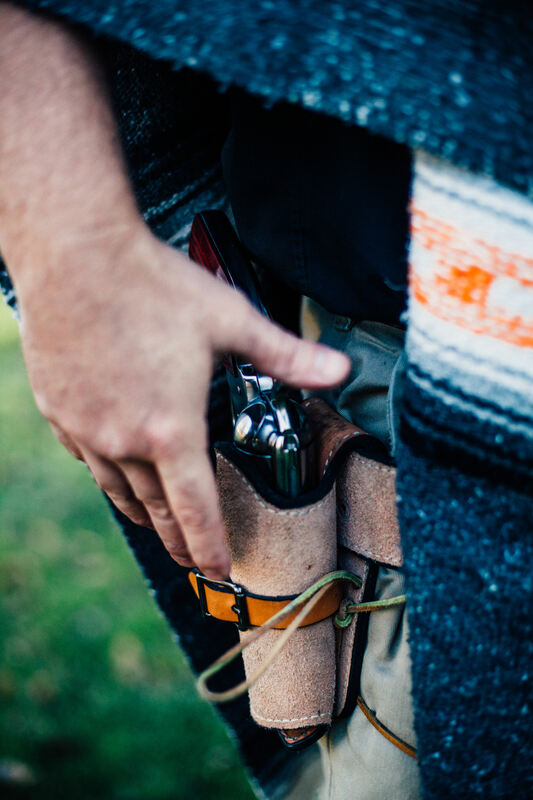 Gun ownership makes personal defense much more efficient and less time-consuming. If someone wants to rob you a Ohio voter shouldn’t have to wrestle away a knife from an attacker or deal with some 300 pound aggressor who is on welfare and spent all their free time working out so that they could use their big bodies to intimidate others into giving them free stuff to mooch off of for the rest of their lives, a gun owner should be able to rectify such perilous attempts at their individual liberty with a firearm so they could quell such actions hopefully without further violence, but if necessary with a life ending verdict so they can get back to work in our productive oriented society. Anti-gun advocates who utter that HB 174 makes Ohio a more dangerous place only think so in regard to their liberal base, who truly want a gun less society so that they can feed off the efforts of the ambitious more freely, which is the tragedy of what is going on in Pennsylvania. The opposite is true, guns make a society safer and less dependent on bureaucrats and slow minded law enforcement. So while one state is going backwards the other neighbor in Ohio is going forward, more guns on more people being carried around openly and concealed keeps the bad guys hidden and away from society. Taking guns away emboldens them, it’s that simple. What anti gun advocates hate is that the centralized control they wish for so much is removed from consideration and that the power of personal protection then resides squarely on the property owner, where it should be. That property might be a home, or a business. But it could be a car, a spouse, or a sandwich, whatever it is that an individual person needs to protect through their efforts at living. Those protections are not granted from the state, they are a natural extension toward effort, one creates the other. That is why gun ownership and carrying them around in public makes for a better society and better individual people, because they can exist without worrying about some slob coming along and taking everything they’ve worked so hard at life away from them. And once that assurance is granted, people are freer to build a lasting economy with wonderful options for everyone. ‘The Post’ Was a Pretty Good Movie, but what do you do when the media helps the powerful? I had been holding off on watching the movie, The Post, directed by Steven Spielberg because it was an obvious attempt to link the press in our modern age to the liberalized impression of Donald Trump in the White House. The argument based on the 1971 case where the Washington Post published the Pentagon Papers after a court injunction prevented The New York Times from going public with their sources. The Pentagon Papers cited of course that America could not win the Vietnam War all through the sixties but committed troops anyway through many presidential administrations. Spielberg following the liberal lead in Hollywood rushed the film into production to make an argument as to why the press was needed to preserve America from tyranny making obvious comparisons of Nixon to President Trump, at least from the bubble perspective of Hollywood in Los Angeles. However, and this doesn’t happen often, I found that the movie, The Post actually made the argument which supports the Trump Administration, that the media has become the enemy of the people, not its champion, and that the press is very guilty of buddying up with powerful people and even taking activist stances in an attempt to conceal information from the public, not the other way around. I thought the film was wonderfully shot, and was quite good, which anybody would expect from Spielberg. But like the film Lincoln, The Post was honest with itself. It showed exactly how the Beltway culture operates behind the scenes and from the perspective of this film it’s not hard to imagine the characters replaced by modern counterparts such as Lois Lerner, Barack Obama, James Comey and Hillary Clinton. I thought it was an odd choice however to end the film on the raid of the Watergate Hotel of the DNC headquarters as if the future of The Washington Post had survived the Pentagon Papers only to report such a minor crime that would eventually lead to Nixon resigning, because it snapped me right back into the reality of our day. As I watched the movie, I was waiting for more details of the Mueller investigation to become clear. I watched The Post as a kind of celebration to the Mueller investigation being over vindicating Trump on all charges, so I was feeling good enough to watch a liberal film that I had been wondering about. So as details were emerging, I watched the Spielberg film without any defensiveness because it was clear that the liberals had lost yet again. So there was no harm in trying to understand their perspective. If the argument, which was made by liberal Hollywood’s best and brightest, of The Post is to be accepted, then the major newspapers and news outlets of our current circumstances are truly just as bad as President Trump has said they are. There is far more evidence of crimes being committed by the Democrats in the 2016 election than anything Republicans are guilty of, even in their worst-case scenario of Watergate. If that is the standard, then Democrats have a lot of trouble on their hands. Imagine what a movie about The Dossier would look like? It would be much more vicious and conspiratorial than anything in The Post, that’s for sure. If that is what liberals think justify the content of such a movie, imagine what they’d feel if they considered the present reality. The Pentagon Papers are an interesting debacle they are the opinions of a government that did not have the will to defeat communism in Asia and Southeast Asia. So they are true, there wasn’t a way to win the war in Vietnam, but the public expected to win as America always had. They didn’t understand and couldn’t that the Vietnam War was a front for all the changes the government had been working behind the scenes, for a communist transition in America that would unify the world. So while the Vietnam War was a front to appease the appetites of Americans to fight communism, the government wanted it to advance in Southeast Asia and to become a global powerhouse. Of course, the Vietnam War could not be won. The objectives of the fighters and the government were different. The premise of the movie The Post were that even if it was illegal, the American people had a right to let the public know about the intentions and assessment of the government of its own ambitions in Vietnam. On that I agree, I think it was a bold and proper move for The Washington Post to publish the Pentagon Papers. But apply to that the sudden mandate to insist that the Mueller investigation be published in full as if some conspiracy existed there for which nobody has yet uncovered, but to then not insist on the same transparency when it comes to the Hillary Clinton email scandal, or the cover-ups at Benghazi. Or the tragedy of Fast and Furious along the Mexican border. Or the Iranian payoffs, the money that was funneled into Hezbollah from the Obama administration in South America. Pick any one of those cases and you have a much bigger story than the one told in the movie The Post, which was supposed to be the liberal calling card into why the press needed to be free to do its job to keep the powerful in check. Yet the powerful were buddies with the press as was obvious in The Post, and that problem is likely much more serious today than it was then. So who is really watching the powerful and keeping order in our government? Certainly not the press. It would be my argument that the election of President Trump is that checks and balances system. Those of us out of the Beltway see how the game is being played and we wanted to go in a different direction, so we elected Trump—a guy who had been there and done everything and wouldn’t be lured to evil by shiny lights and other government plundered temptations. He already had all that, so he couldn’t be toyed with. That is what was needed to extract the evil that is in our current government and that is precisely what has been happening. If Trump had not been elected the ruse would continue and many of us who have understood from the beginning how the game is really played would be still frustrated and looking for alternatives to a violent rebellion. Like the Pentagon Papers, our current government has been committed to a global rise of socialism and communism. They tell us what we want to hear, but they do the opposite to rub shoulders with the interests that are not American in their roots. I thought The Post showed quite well how that process occurred with the dinner parties and after-hours correspondence of the liberals involved in the media and government. Based on what we know, the situation is much worse today. So The Post is worth watching and it makes a good argument I think in favor of the Trump administration for truly rooting out the evils of our current government and why it’s necessary to root out the powerful who have built their reputations on the backs of confiscated wealth and not actual merit. It certainly reminded me of why I voted for Donald J. Trump. I don’t think that was their intention, but Spielberg is an honest filmmaker with a big eye on history and even when trying to make a love letter to the liberal base of the Democrat party, he couldn’t help himself but to tell the truth. If the story of The Post is noteworthy of an Oscar, then just consider the stories of this modern age. Someone needs to tell those stories, even though they are still being written. We can’t trust the press obviously. But we can trust President Trump because it was “we” who put him in a position to help the situation truly, and for all time. It continues to be frustrating to read gun defenders getting tricked into arguing the merits of gun ownership against the position of the liberal aggressiveness that has far-reaching implications which I established in an article I wrote yesterday on the real fight in the world between eastern and western civilizations. The intent by liberals to enact gun control is to achieve their not so thinly veiled objective and that is to destroy all of Western Civilization and to replace it with the values of the orient. This has never been in dispute yet many people just don’t seem to understand the big picture, so they can’t defend it in an argument. To do so you have to understand the big game that the East has always been playing and to deal with them on those terms. It was last year that I visited the Indianapolis Children’s Museum and noted that they had an entire section dedicated to just the country of China, as if we were all going to be adopting to that reality soon anyway, so they were there to instruct visitors to what that world would look like. It can’t be argued that this is the world that the political left and even many on the right want for the United States, a gradual surrender economically to China and the spread of their communist system from there to here. It’s all about state control over individual activity. When I talk about Western Culture I’m talking about a long boil of ideas that were in conflict with each other through many thousands of years, something that didn’t occur in the orient. Even within that Western culture the best of it was the sentiments of individualism that came out of works of art such as in Wolfram von Eschenbach’s Arthurian romances, specifically of the Parzival Grail quest. There are some really wonderful passengers about individualism that emerged quite radically against the state control of kings and territorial oversears typical in 13th century Europe that evolved over time into what the American gunfighter mythologies on the western frontier of North America evolved into that are worth protecting. That is after all why gun rights in America are necessary and need to be less restrictive, not more so. To find the Grail castle and eventually the Grail itself, the night Parzival had to ride his horse with the reigns limp and to find these treasures through authenticity to himself not to the obedience to a social system. That is a very important distinction that is at the core of all Western thought. And it is that which having gun ownership is meant to protect. We have allowed the enemy to define the grounds for which we fight, which is to allow gun rights to become a safety issue, and that we should all give them up for the benefits of more security. But to do that we have to yield more power to the state, and to apply the Parzival metaphor to the situation, to guide the horse more directly and to seek the Grail Castle through institutionalized inquiry, for which it would always remain invisible to us. The harder you look, the less you find especially in the context of institutionalized perspective. But as we know through history, this always leads to collapse of society in one fashion or another. There is never any real safety in such a quest in life so the issue is never about safety, it’s about preserving ideas and concepts that were strictly part of western civilization for thousands of years of evolution. The moment that those ideas aren’t protected, the state controlled sentiments of the East desire to creep in and destroy everything humanity has worked so hard to build for thousands of years of trial and error. The way it has been framed, the gunfighter of the American west was a whore and gambler representing the worst of us and is an image we should run from, not to. But I see them quite differently, as the latest additions to Eschenbach’s quest to define individual authenticity to the mandates of institutionalism. The individual effort of America’s gunfighters both in real life and through the emergence of Hollywood westerns is quite a statement about individuality and the merits that such contributions have on society as a whole is quite astonishing, and important. But without the gun, it wouldn’t have been possible. It was the gun after all that destroyed the Indians, who were the representatives of the orient in place within North America as immigrants of their own centuries before. I wouldn’t go so far to call them domesticated inhabitants. The strange culture of the Adena people with their obsession with Ancient Alien conspiracies, their elongated heads, their sometimes unusually tall stature with obvious roots from the Middle East and the Salisbury Plain and excessively sophisticated mathematics were not the same people as the Shawnee who were the Indians who fought the first stages of westward expansion in my home state of Ohio on the very ground that my home sits to this day. Not by a long shot. There is a deep and distant past that has many complex cultures coming in and out of it that have nothing to do with “indigenous” people. The Indians had their chance and they failed like all cultures around the world to get their grips into reality and to sustain the growing ambitions of mankind with fresh new philosophic concepts. But in Western Culture, such thoughts did percolate. Often the perpetrator would find themselves beheaded in Europe, or burnt at the stake, or even hung on a cross, but the effort was there and ideas did evolve. It was the gun and the American frontiersman who actually found the Grail Castle of Eschenbach in North America, not in some Heavenly light of Utopia but in the casinos and whore houses of upstart towns high in the mountains of South Dakota and California. The individual behavior may have been disgusting, but it was authentic and behind that effort came the greatest economy and civilization yet to emerge from human minds. And it all started with personal autonomy and the gun that protected that right. A vast majority of our fellow human beings are much like Parzival. Often by accident while they are reckless in their youth treating life with their hands on the reigns loosely, they find their Grail Castle. But they do as Parzival did, they don’t ask questions when they should or act authentically to their nature, so they get kicked out of the kingdom even though they still stand where they always stood. The keys to the great Heavens are not as Jesus said, out there somewhere but are all around us. We must find them ourselves through our own authenticity which is the meaning of life, which can be and is often different for each one of us as individuals. Only by living an authentic and individual life can we find our own meaning and then give the value of that meaning to those of our civilization. And while we are searching for this individual meaning there are always villains who come along to pull us back to the mandates of institutionalism. For the first time in all human history there were very charismatic individuals roaming around the American West much the way Parzival did under King Author’s knighthood. The goal of such knights wasn’t loyalty to the court but honor in the individualized efforts of personal authenticity. Maybe only less than 1% of all people find such a Grail Castle in their lifetimes, but the treasure that springs forth from such a society is literally boundless, and worth the trouble. And to protect that opportunity in the face of mankind’s tendency toward detriment, we need personal guns to keep the effort alive, and deep into the future.